Barnet Council has been recognised for its innovative work with Muslim communities by the Government Office for London. The award, for Best Overall London Project, presented on 17th February at the Prevent 2009 One London Conference, is in recognition of the Council’s groundbreaking approach to engaging with members of Barnet’s Muslim community through the borough’s schools, community organisations, university and mosques. 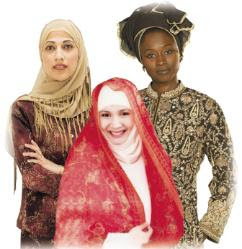 Using research findings from one of its partners, Middlesex University, the Council designed its projects specifically to reflect the diversity of the borough’s Muslim community. Among the projects undertaken by the council and carried out by the Barnet Muslim Engagement Partnership was the 2008 award-winning Madrassa Citizenship Programme which was adapted to fit mainstream, multi-faith schools. The programme aimed to improve inter-faith understanding among school pupils through a series of workshops taken by different faith leaders. Other programmes included empowering local Muslim women to become public influencers and increasing the self-esteem of south Asian, Somali and Afghani young people through performing arts, sports and national youth accreditations. The project also succeeded in challenging myths in the community through its critically acclaimed exhibition ‘Muslims in Barnet’ portraying the positive contribution of Muslims engaged in daily life.